TORONTO Research In Motion Ltd. (RIM) said Thursday that it sold about 1 million of its critically important new BlackBerry 10 devices and surprised Wall Street by returning to profitability in the most recent quarter. The earnings provide a first glimpse of how RIM's new touch-screen BlackBerry Z10 is selling internationally and in Canada since its debut Jan. 31. 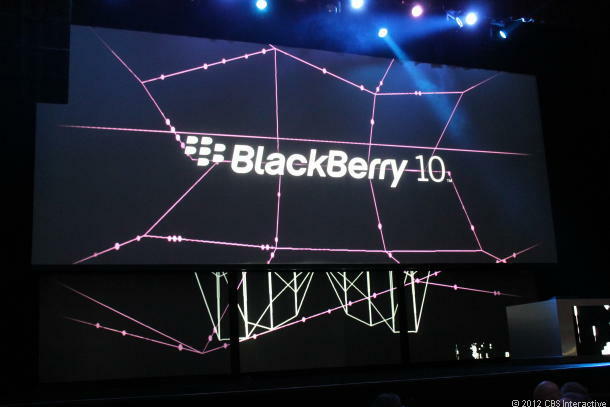 The 1 million Z10 phones were above the 915,000 that analysts had been expecting. Details on the U.S. launch are not part of the fiscal fourth quarter's financial results because the Z10 just went on sale in the U.S. last week. In the quarter that ended March 2, RIM earned $98 million, or 19 cents a share, compared with a loss of $125 million, or 24 cents a share, a year earlier. After adjusting for restructuring and other one-time items, RIM earned 22 cents a share. Analysts surveyed by FactSet had been expecting a loss of 31 cents. Revenue fell 36 percent to $2.7 billion, from $4.2 billion. Analysts had expected $2.82 billion. Despite the BlackBerry 10 sales, RIM lost about 3 million subscribers to end the quarter with 76 million. Bill Kreyer, a tech analyst for Edward Jones, called the decline "pretty alarming." "This is going to take a couple of quarters to really see how they are doing," Kreyer said. In pre-market trading, RIM's stock rose briefly, but was down 7 cents at $14.50 at about 8:20 a.m. The BlackBerry, pioneered in 1999, had been the dominant smartphone for on-the-go business people and other consumers before the iPhone debuted in 2007 and showed that phones can handle much more than email and phone calls. The new BlackBerry Z10 has received favorable reviews since its release, but the launch in the critical U.S. market was delayed until late this month. A new keyboard BlackBerry, called the Q10, won't be released in the U.S. for two or three more months. The delay in selling the Q10 complicates RIM's efforts to hang on to customers tempted by the iPhone and a range of devices running Google Inc.'s Android operating system. Even as the BlackBerry has fallen behind rivals in recent years, many users have stayed loyal because they prefer a physical keyboard over the touch screen on the iPhone and most Android devices. RIM, which is changing is formal name to BlackBerry, said it expects to break even in the current quarter despite increasing spending on marketing. "To say it was a very challenging environment to deliver improved financial results could well be the understatement of the year," Chief Executive Thorsten Heins said during a conference call with analysts. In a statement, Heins said he implemented numerous changes at the company over the past year and those changes have resulted in RIM returning to profitability. "I thought they were dead. This is a huge turnaround," Jefferies analyst Peter Misek said from New York. Misek said the Canadian company "demolished" the numbers, especially its gross margins. RIM reported gross margins of 40 percent, up from 34 percent a year earlier. The company credited higher average selling prices and higher margins for devices. "This is a really, really good result," Misek said. "It's off to a good start." The company also announced that co-founder Mike Lazaridis will retire as vice chairman and director.